PJ’s Coffee Vietnam kicked off the “Just taste the difference” campaign with double combos – Iced coffee and Ca phe sua da. The name says it all, “Just taste the difference” campaign will give customers an opportunity to dive deep into the coffee world. Each cup of coffee will bring different experiences that spread to all of your senses, taste the differences in aroma, color, smell, from the first tasting to the aftertaste. Each flavor will lead you to different feelings and bring you a truly unique and authentic experience. Would you prefer a smooth and rich flavor perfectly matched for a cup of Iced coffee? Or a cup of classic flavored coffee but very hazelnutty, sweet, has a nutty overtone and a smooth, creamy flavor? Whether you are into a strong coffee kick or just a sweet-smelling coffee, the Combo 2x Iced Coffees from “Just Taste the difference” Campaign will give you the perfect experience. Pick 2/3 flavors with the price of 79.000 VND (originally 90.000 VND) and you can make your own decision which flavor your heart desires? 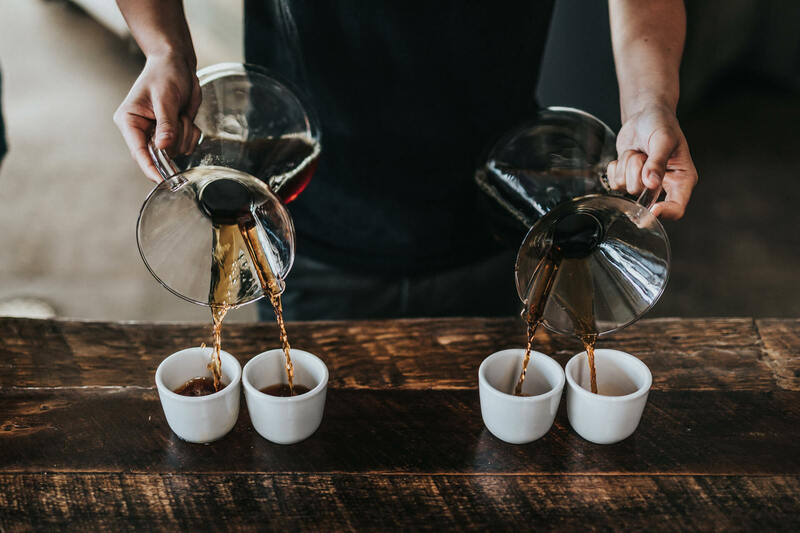 Surely Ca phe sua da is no stranger at all, but have you ever heard Ca phe sua da has a medium-bodied with mild nutty flavor and well-balanced acidity? Or have you tried Ca phe sua da with a round, sweet flavor, a chocolatey aftertaste and extra rich body? Does the experience of tasting a berry aroma iced coffee along with a perfect balance between acidity and body surprise you? This combo will change your perspective on drinking “Ca phe sua da”. What’s special is the unique aroma in each cup of PJ’s Coffee entirely comes from inside the coffee beans, no syrup used. This makes every cup of coffee you enjoy is the purest and the most authentic. Besides the opportunity to enjoy high-quality coffee at special prices, you also have the chance to join a lucky draw to win PJ’s vouchers. When purchasing any of our combos in “Just taste the difference ” campaign, every customer has a chance to 100% win exciting and diverse awards available now at PJ’s Coffee. Ice coffee and Ca phe sua da have long been a distinctive feature of the Vietnamese culinary culture. Through “Just taste the difference” campaign, PJ’s Coffee Vietnam hopes to bring you new aromas, new taste, experiences in the most ordinary beverages. Invite your loved ones, family and friends to come and taste-the-difference at PJ’s Coffee.